Much like us, as horses get older, they can lose teeth. Also like us, if they have dental issues in early life, these can contribute to more issues in later life. It is therefore important that you do what you can to protect your horses teeth while you can! What issues can damaged teeth cause? Horses with damaged or missing teeth can struggle to eat grass and hay. This means that you may need to supplement their diet with high forage feeds such as grass nuts and mashes. Which can start to become very expensive. They can also affect what tack your horse is comfortable in. Not only may you need to consider what bit your horse wears, but also where nosebands sit. One bad tooth can lead to more! Because of how horses naturally wear their teeth down while eating, when a tooth becomes damaged or falls out, it can affect how the surrounding teeth are worn. And in many older horses, once they lose a tooth, the neighbouring teeth can fall out quite easily. Scottie is missing some front teeth. We aren’t too sure how this happened as it happened before I bought him. But these missing teeth are something I consider on a regular basis. While they do not currently cause a problem, I am aware that in the future they could be. So I make sure I take steps to protect his teeth. Scottie is seen by the dentist at least once a year. This seems to be the perfect length of time for him but in some cases you may need to have the dentist out more regularly. But for most adult horses once a year seems to be the perfect amount of time. When your horse is only seeing a dentist once or twice a year it is important to check your horses mouth in between visits. Even if you just check for any sores or obvious sharp bits. In between visits from the dentist I keep tabs on Scottie’s front teeth. Because he is missing a couple of top teeth, the bottom ones can grow too long and then start to irritate the gums. I make sure I check his front teeth every few weeks for signs of irritation. Make sure your bit fits your horse and that they are comfortable in it. A bit sitting too high or low in the horse’s mouth can potentially damage your horse’s teeth. If you aren’t too sure on the fit, get a second opinion. Lots of horses chew wood and/or crib. All older horses I have seen with these behaviours have had worse teeth than those who don’t. In an ideal world, you would find a way to stop your horse from cribbing. However, these behaviours can relieve stress and I have known cribbers to colic when they are unable to crib. So rather than covering all surfaces in electric fencing to stop them doing it completely, I would focus on ways to encourage them to do something else or protect their teeth. For example, some horses only crib when they are eating. Can you feed them somewhere away from something to crib on? Or if they always crib on the stable door, perhaps you could hang an old rug over the door to soften the impact slightly. When horses are hungry they can get frustrated and be more aggressive with the haynet. 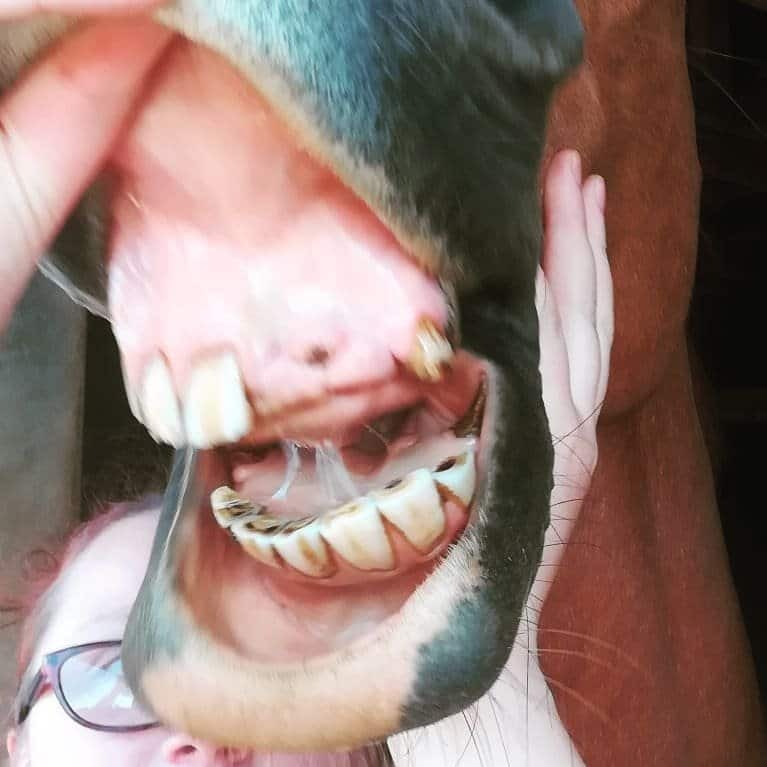 Over the past few months I have seen photos of horses damaging their teeth after getting caught in haynets, especially those with smaller holes. If you don’t need to worry about trickle feeding your horse, consider using a wider holed haynet or haygrazer bag, which are kinder on teeth. Or if you can feed off the floor then even better! We are currently reviewing the Haygrazer bag, so keep your eyes peeled! Do any of your horses have special dental needs? How do you protect their teeth? WIN! A set of Fly Off tags! 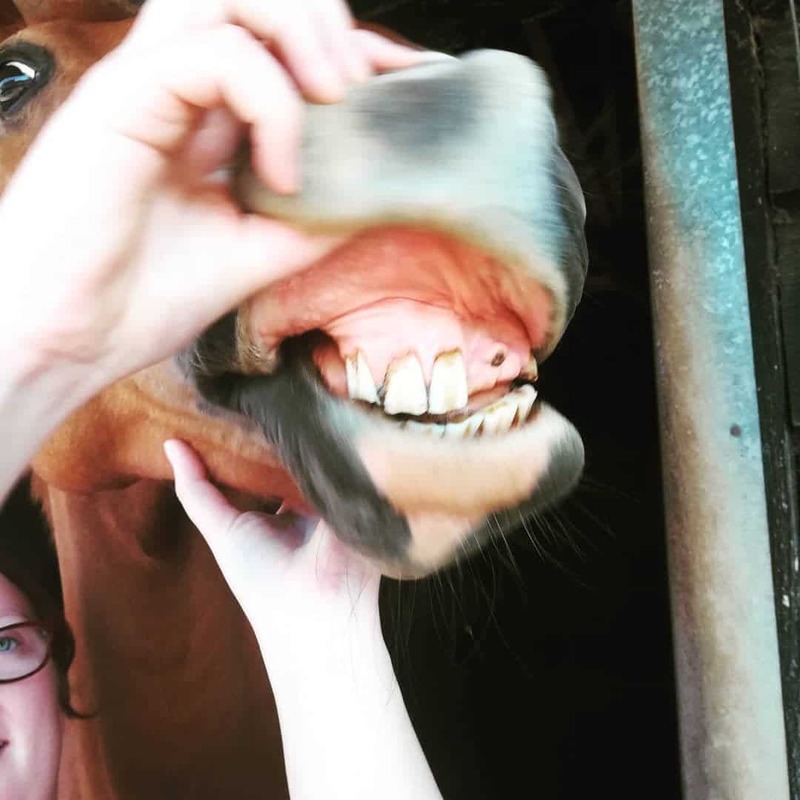 In almost 40 years of horse ownership, and over 35 horses in that time, as well as having worked on equestrian yards, I have never had a horse sustain injuries to teeth on a net. Get legs hung up on incorrectly tied or even shoe fast, absolutely. So I would love to see the supporting evidence to this claim. I can see how it may occur if the horse had missing teeth such as your own, but in such instances would use floor or haybar feeding to negate such an outcome. Whilst I like the haybags for travelling etc, they still have mesh fronts, so I feel to try and market using this claim without strong research to support the claim is not a sound strategy. I have seen some evidence on the haygrazer website which is where I pulled this fact from. It’s not scientific research, purely a few case studies of individual horses who this has happened to. So I really don’t think it is a major issue for the majority of horses. However, that being said, I have seen horses rip holes in haynets with their teeth and I can see how this could cause damage to their teeth if the string got stuck in their teeth. While I am currently reviewing the haygrazer bag, I didn’t include it in this post for marketing purposes. 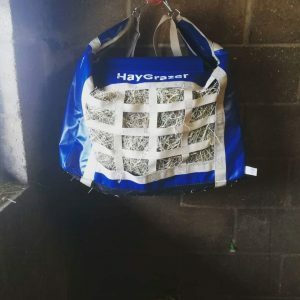 I genuinely believe these types of bag and larger holed haynets are kinder on horses teeth. Especially when feeding from the floor or hay bar doesn’t work for all horses.